Franz Joseph Haydn, the Austrian composer, was born in the tiny village of Rohrau, the son of a wheelwright and his wife. By the year 1766 when A Minor Deception, the first Haydn mystery, begins, he was being hailed as the “darling of the nation,” and was employed by the wealthiest and most powerful noble family in the Habsburg Empire, the Esterházys. But this amazing rags-to-riches story, inspiring as it is, isn’t what compelled me to choose Haydn as the protagonist of my historical mystery series. The qualities that won me over are quite different. In the year 1802, seven years before his death, Haydn received a letter from the music lovers of a small German town called Bergen. The musicians in this little town had performed his oratorio—a religious opera—The Creation. The work had been so well-received and enjoyed so much, the town and its inhabitants felt obliged to communicate their delight to the composer. Yet a letter from this obscure town received an immediate response. “It was indeed a most pleasant surprise to receive such a flattering letter from a place where I could have no idea that the fruits of my poor talents were known,” he begins, going on to express his own delight that the work had been so well-received. This is only one of countless tales of Haydn’s humility, his modesty, and his complete lack of ego even at the height of his success. It gave him genuine pleasure that anyone enjoyed performing and listening to his compositions. It mattered not who you were. That modesty was accompanied by a strong sense of humor that took no umbrage when he was mistaken for a servant and treated brusquely. Good fortune may have taken him from Rohrau to Vienna, the musical capital of the Habsburg Empire. But it was sheer diligence that resulted in Haydn’s fame and fortune. It took ten long years of grinding poverty before he received employment as Kapellmeister—Director of Music—first to Count Morzin and later the princely Esterházy family. In those years of living in a dingy attic, without heat, with barely enough money to keep body and soul together, did the young Haydn sometimes feel discouraged, and wonder if his hard work would pay off? If so, what encouraged him to continue? Often, when contending with obstacles of every sort that interfered with my work, often when my powers both of body and mind were failing and I felt it a hard matter to persevere in the course I had entered on, a secret voice within me whispered, “There are but few contented, happy peoples here below; everywhere grief and care prevail; perhaps your labors may one day be the source from which the weary and worn, or the man burdened with affairs, may derive a few moments’ rest and refreshment.” What a powerful motive for pressing onward! What a powerful motive, indeed! Haydn was speaking of the exhausting labor that went into the writing of the Creation. But I like to think that the same voice kept him on his course when as a young man poverty and hunger may have tempted him to look for some easier means of earning a living. It’s hard work being a writer. The pursuit of any worthy endeavor, in fact, is hard. The road may not be long, but it is arduous. But Haydn’s own diligence, his ability to forge ahead despite obstacles, have taught me to persevere, even in the telling of his story. He was never an amateur sleuth, although if someone had approached him for help, he would have given it quite willingly. His readiness to help, his humility, and his diligence serve as a moral compass for me. Quite simply, Haydn is my muse. A Minor Deception is a fun, entertaining mystery. But much of Haydn’s character shines through in the fiction I weave. I hope as you read my novel, the Kapellmeister will capture your heart as he did mine. 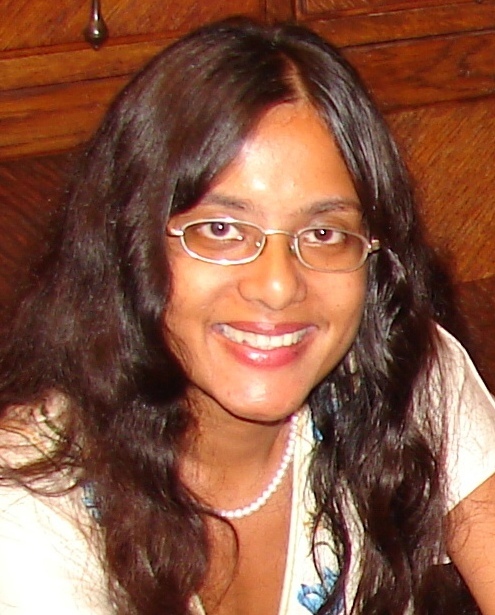 A former journalist, Nupur Tustin relies upon a Ph.D. in Communication and an M.A. in English to orchestrate fictional mayhem. Childhood piano lessons and a 1903 Weber Upright share equal blame for her musical works. 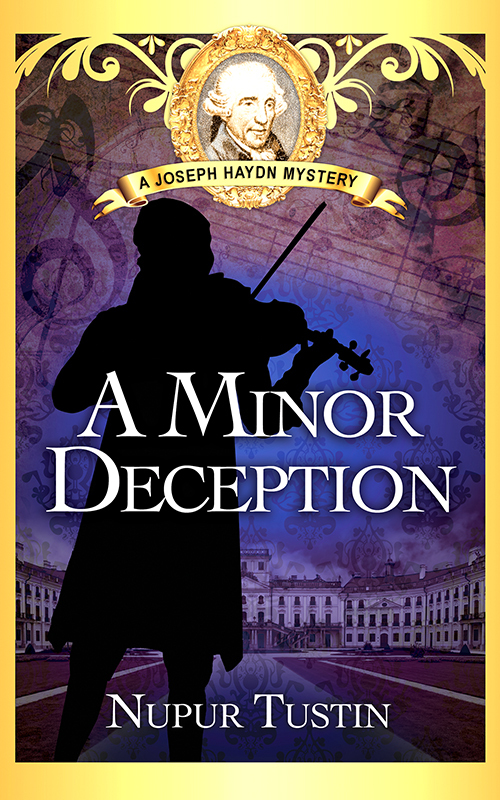 A Minor Deception is the first in her Joseph Haydn mystery series. Print and e-copies are available on Amazon, Barnes & Noble, iBooks, and Kobo. Thank you so much for hosting me on your blog, Marni! And I love the related links that show up at the bottom of the post! Thanks for yet another insight into that great man, Nupur!